1925: Arms 10 pi. 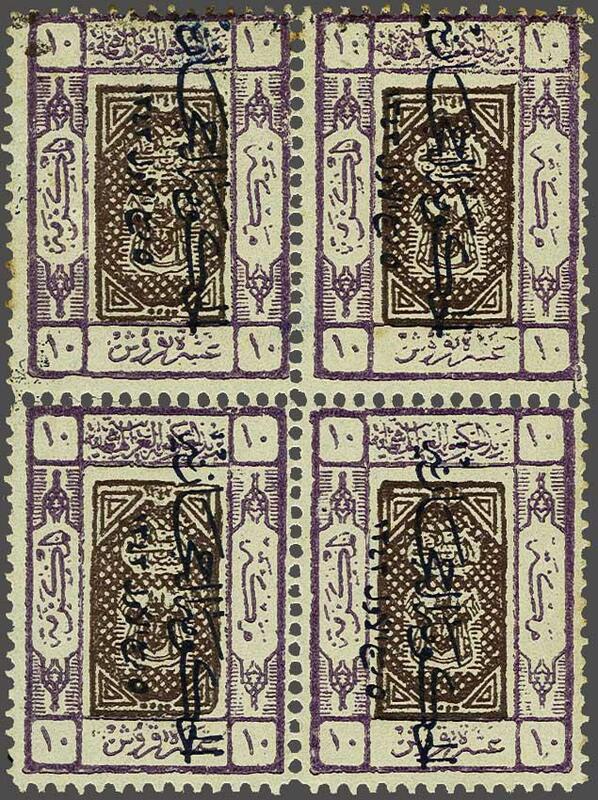 brown-purple & mauve, overprinted 'Hejaz Govt.' 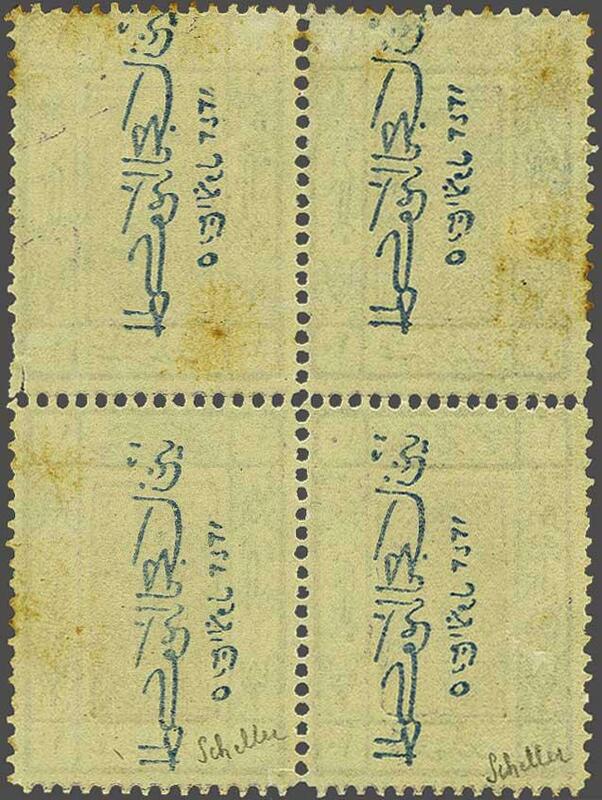 reading down in blue, the unused block of four, trivial aging on reverse and on one or two perfs., otherwise fresh and very fine, unmounted og. A great rarity of Saudi Arabian philately and the first multiple this describer has encountered. Signed Scheller Gi = £ 13'000+.